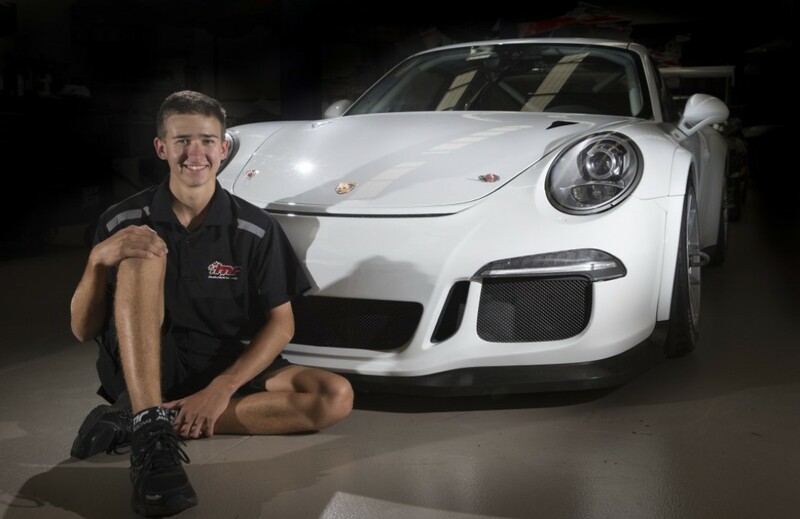 Up-and-coming sports car racer Matt Campbell will display his talents on the main stage this year when joining the Porsche Carrera Cup Australia championship. The 19-year-old raced a sensational debut season in the Porsche GT3 Cup Challenge Australia series last year, winning Class B with one round remaining. Campbell then swapped his Class B Porsche for an outright Class A contender in the season finale and clean swept the Phillip Island event. Campbell will now graduate to the top-level Porsche championship with the opportunity to race at the largest motorsport events in the country, campaigning the Porsche 911 GT3 Cup car driven by Warren Luff last season. “To be able to race in the Porsche Carrera Cup championship is a truly amazing opportunity for me. I’ve followed the championship closely for many years and admired the talents of the top drivers. It will now be surreal to line up against these drivers on the Carrera Cup grid,” said Campbell. “I felt very comfortable in the Porsche by the end of last season. Moving into the 991 GT3 Cup car will be another big challenge but hopefully one made easier with tuition from Warren Luff throughout the season. I’m not expecting to be at the front straight away though hopefully I can move in that direction throughout the season. For Porsche Cars Australia, Campbell’s inclusion to Carrera Cup is another demonstration of the Porsche Motorsport Pyramid promoting the careers of young, talented drivers, according to its Motorsport Manager, Kurt Sakzewski. “Matt’s addition to the Carrera Cup field in 2015 is exciting for Porsche. Matt displayed immense talent in the 2014 GT3 Cup Challenge series and now he will be able to show his pace on a completely level playing field,” said Sakzewski. “The advantage for young drivers in Porsche one-make series is they can display their talents against some of the best in the business, using drivers like Steven Richards and Craig Baird as their benchmark. You will stand out if you can compete with these front-runners. The 2015 season will kick-off on the streets of Adelaide on 26 February at the Clipsal 500. 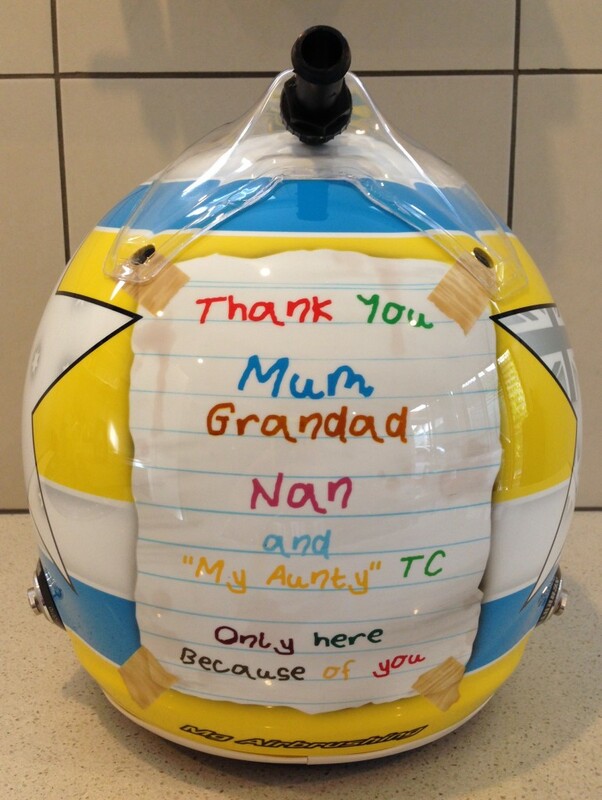 Matt Campbell's helmet showing his appreciation of the support he has received from his family..! !